This week Dundee City Council considered a very worthy procurement policy (pages 39-50 of the pdf). I have often made the point that the council should recognise the economic power it has through procurement and use the collective power of Dundee citizens' money to achieve social, economic, environmental and community benefit. Over the last few years we have passed a number of policies on important issues like Fairtrade, the Living Wage, against Blacklisting and in support of more training and the promotion of health and safety. I generally welcomed the policy presented to the council but what I was concerned about was how do councillors know that the policy has been applied. I am concerned that we talk the talk but essentially that procurement decisions are only made on the basis of cost. Cost and value for money for the council-taxpayer is important but it should not be the only criteria on which contracts are let. I put forward an amendment to the council's policy which says that officers will now have to show how they considered the impact of the tender on the social, economic, environmental and community goals of the council. I was pleased that my amendment was agreed to and I will be looking to work with officers of the council to ensure that the most rigorous standards are applied on this. As they say the proof of the pudding will be in the eating. 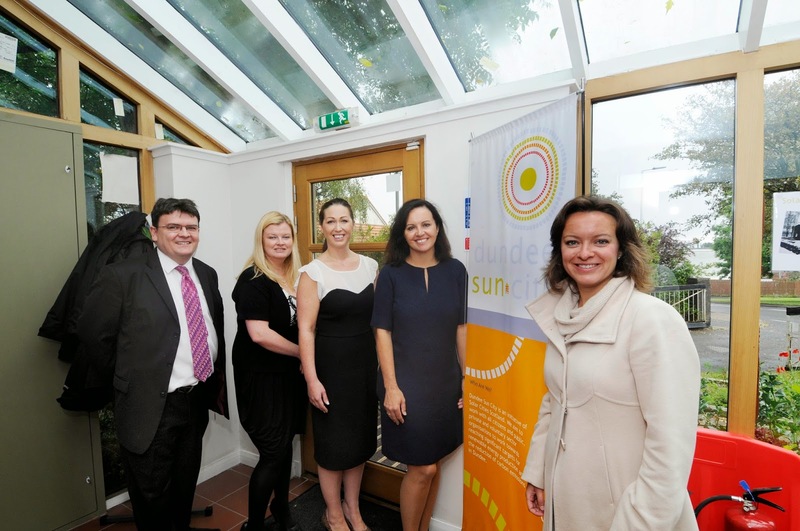 On Thursday we were lucky to have a visit from Caroline Flint, the Shadow Secretary of State for Energy & Climate Change. It was good to get the opportunity to discuss energy policy with her. 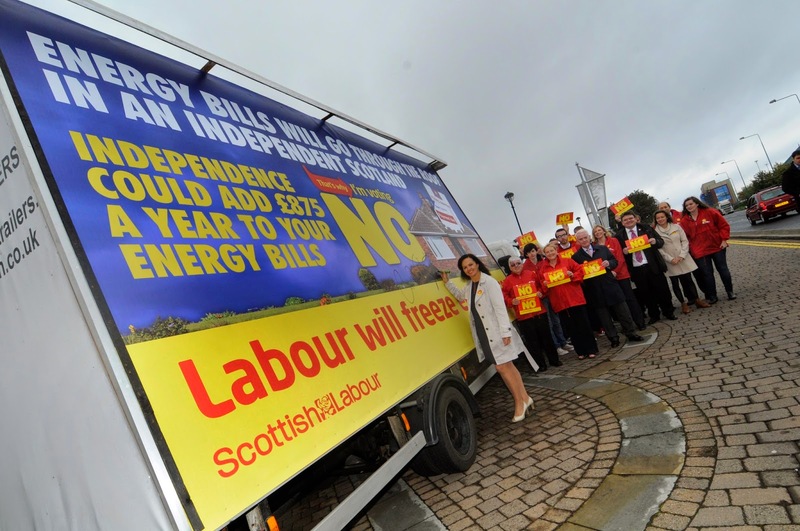 Whilst she was in Dundee she launched a Labour campaign to highlight Labour's promise to freeze energy prices after the next General Election. This is a pledge that others don't want to match, partly it seems to me from fear of upsetting big business. Away from the campaigning side of the visit I was pleased to join Jenny Marra MSP and Caroline on a visit to the excellent Sun City Eco Demonstration House. it was great to hear about the work of Solar Cities Scotland. I know that they are doing a great job promoting energy efficiency and carbon reduction in the West End and in other parts of Dundee. It was good to hear Solar Cities outline their work and highlight what their problems are and where there should be more support. A key issue is about how we create schemes which deal with fuel poverty but which also tackle carbon reduction. There is a lot that could be done at local government, Scottish Parliament and House of Commons level and all three of these need to work together to deliver real changes which will make a difference to people living in fuel poverty and which will also deal with carbon emissions. This is a real challenge. I would urge people to have a look at the work of Solar Cities Scotland and also if they can to visit their Eco-demonstration house during Dundee Doors Open Weekend 13th & 14th September. Tonight I was pleased to attend the Greater Balgay Park Stakeholders Meeting. This meeting allows the Council's Environment Department, listen to the views of people such as the Friends of Balgay and the West End Community Council as well as local councillors. As a local resident I know what a great resource the park is for local people. It is important that the council recognises that Balgay Park, along with the other parks in the city, belongs to all the people of Dundee. It is important that the council listens to the views of local people about the park and takes action on their concerns. 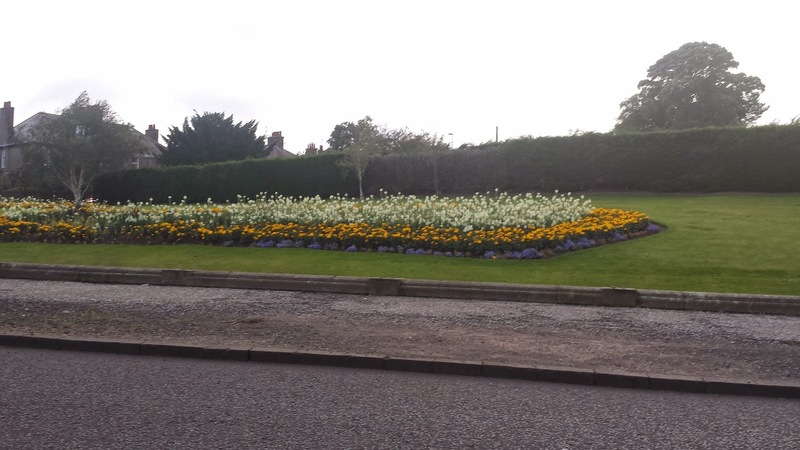 I would like to pay tribute to the late Dr Hilda Spear who did a great job in keeping local councillors on their toes and ensuring that her beloved Balgay Park is maintained. I know that the Friends of Balgay will ensure that her legacy lives on. I think that over the last few years this meeting has made a real difference to the management and maintenance of the park and that is good news for everyone. If you have any questions or concerns about Balgay Park or the other parks in the West End please get in touch. I was absolutely delighted, honest, when I was nominated to take the ice bucket challenge. I was pleased to be able to raise awareness of the need to take action against Motor Neurone Disease. Please consider donating to MND Scotland especially in support of Gordon Aikman.